“Best food “EVER” “SUPERB” Need I say more!! “Fantastic food, 5* pleasant atmosphere"
"This is a useful book - it shows how international Mr Muhit's clientele is!, well deserved"
"Tried new Indians in Alnwick, not a patch on here - same price, half the portions and nowhere near the quality - not my idea to try I would come here every time - as I have for about 20 years!" 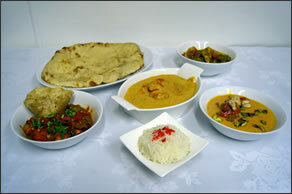 "Brilliant service, quick as well as excellent quality!, wouldn't go anywhere else for an Indian takeaway.... Top marks! 10/10"